Home / brand new / bülow / música / bülow unveils new single "You & Jennifer"
bülow unveils new single "You & Jennifer"
bülow is on a roll! Fresh off releasing her single SAD AND BORED, featuring Duckwrth, the17-year-old Netherlands-based artist is back with another song called You & Jennifer. This song is another gorgeous piece of Electro pop music with a stark and soulful vibe. Her songwriting skills are on point and just catches my full attention! The chorus is highly infectious and I'm just in love with the entire production. 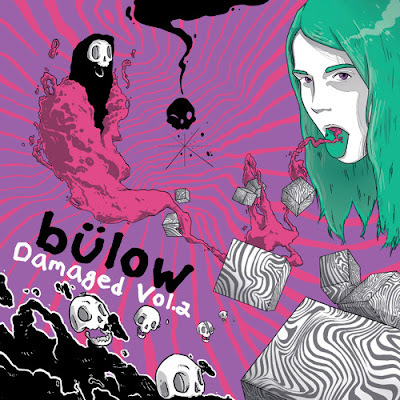 bülow is truly a very talented artist and I'm glad I get to know her music! Stream this gem below! You & Jennifer is taken from her brand new EP, Damaged, Vol.2, out now on Polydor/Republic Records. Completing the EP is the shimmering and vulnerable Honor Roll. Stream the entire EP below!